Creators of the best Stand Up Paddle board carrier in the market! SUP Wheels® is a fast growing company in the sector of watersports transportation. We strive to provide the best quality products and innovative solutions for watersports transportation. We are fiercely loyal to our customers, resellers and distributors all around the world and we have their constant support. 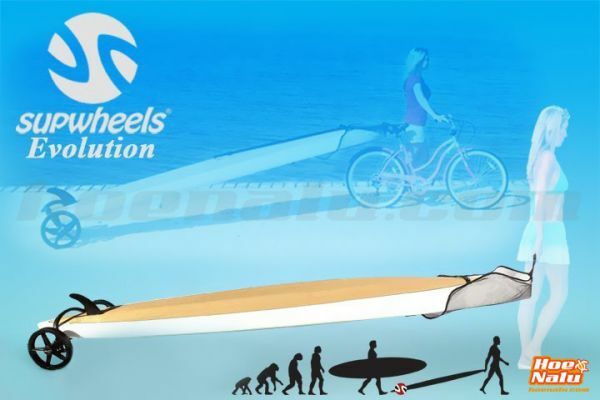 This is thanks to the good word spread about us by word of mouth and our innovative SUP board transportation products. We back up all our products with a network of excellent customer service that keeps getting better and better. We at SUP Wheels® did not invent Stand Up Paddle boards and neither did we invent the wheel, we just attached the two of them in order to make SUP a more mobile sport...Now, it´s so much easier! It´s the best and easiest-to-use SUP board carrier in the market.